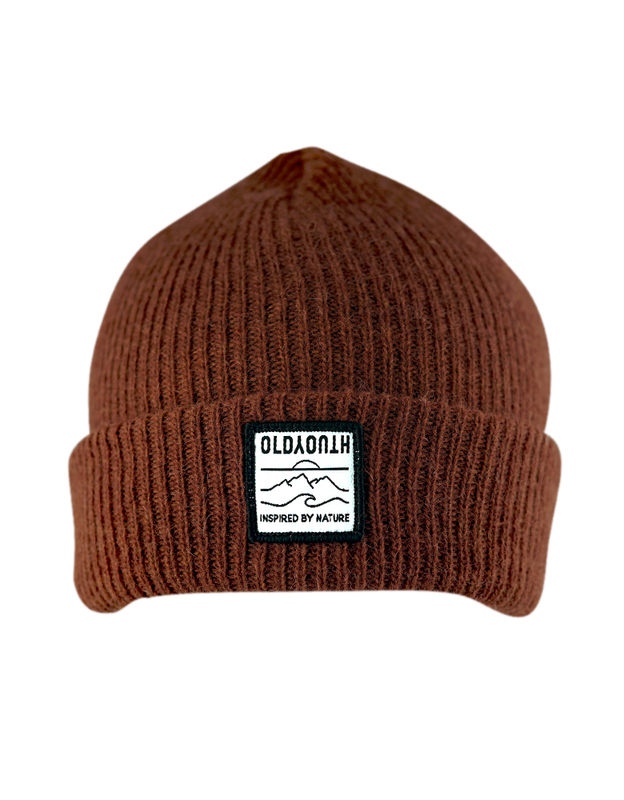 Beautiful ethically sourced 100% merino wool beanie. Merino wool has a natural loft that traps heat very efficiently between the fibres, making it warmer than a synthetic of the same weight. But it’s also good in the heat as merino regulates your body temperature really well. Finished with an Old Youth patched hand stitched on the front.